The narrator of The Seas lives in a tiny, remote, alcoholic, cruel seaside town. An occasional chambermaid, granddaughter to a typesetter, and daughter to a dead man, awkward and brave, wayward and willful, she is in love (unrequited) with an Iraq War veteran thirteen years her senior. She is convinced that she is a mermaid. What she does to ease the pain of growing up lands her in prison. What she does to get out is the stuff of legend. In the words of writer Michelle Tea, The Seas is "creepy and poetic, subversive and strangely funny, and] a phenomenal piece of literature." Samantha Hunt grew up in New York and Vermont. She is an artist and a writer. Her stories have appeared in McSweeney's, Cabinet, and on NPR's This American Life. 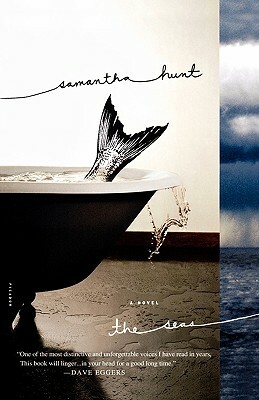 The Seas is her first novel.